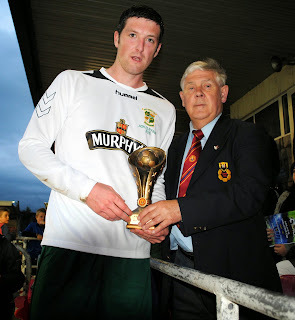 Mick Barrett (Captain of Park United A) is presented with the AOH Cup by Ted O'Mahony (Chairman of the Cork AUL) following their 6-1 defeat of Carrigtwohill Untied at the Cross on Friday night. 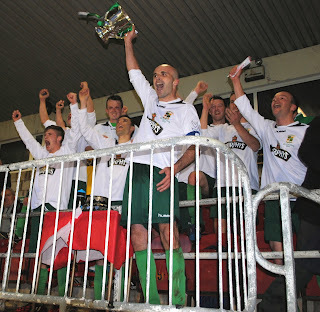 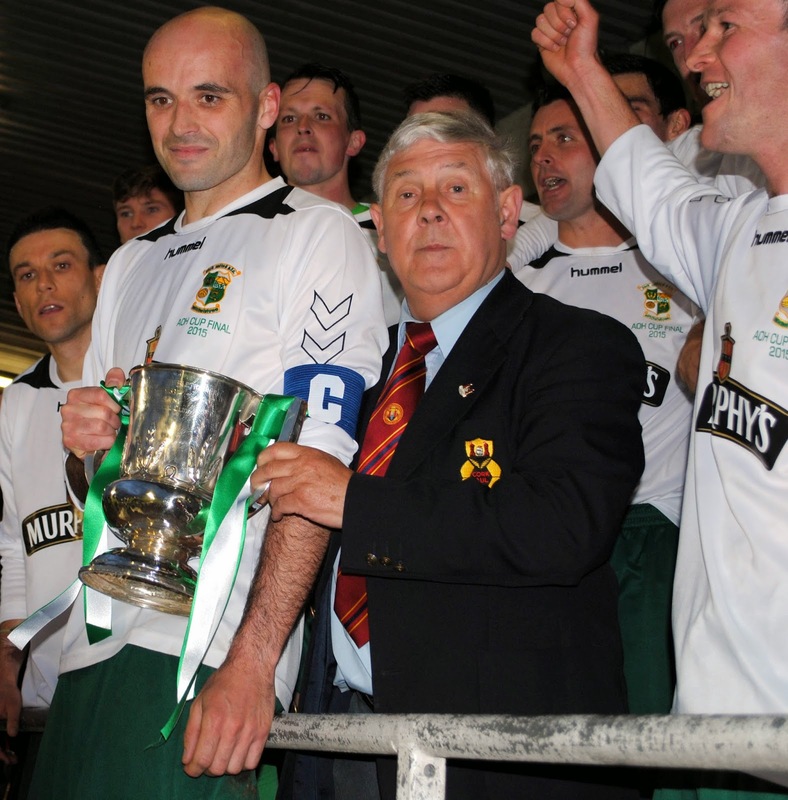 Park United's Captain Mick Barrett and players celebrate after winning the AOH Cup following their convincing 6-1 victory over Carrigtwohill Untied at the Cross on Friday night. 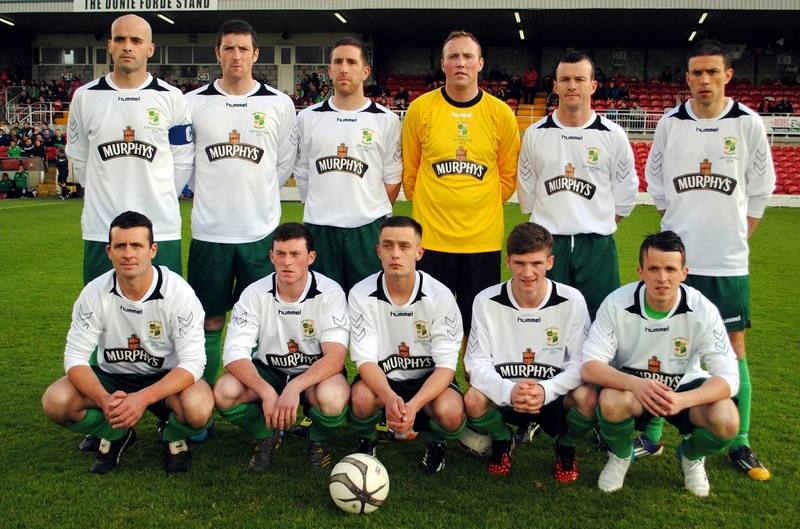 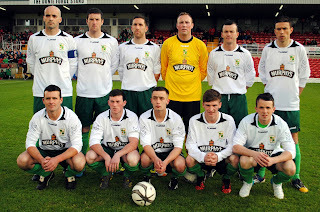 The Park Untied A side that won the AOH Cup following their 6-1 defeat of Carrigtwohill United at the Cross on Friday night. Park United's Shane Cahill is presented with the man of the match award by Ted O'Mahony (Chairman Cork AUL) after scoring a hat-trick to help his side win the AOH Cup against Carrigtwohill United at the Cross on Friday night.